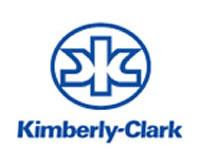 For my first in-depth dividend stock analysis using my new rating system I chose a stock I have owned for over a year now, Kimberly-Clark (KMB). You may not be familiar with the company, but I am certain you are familiar with many of their brands. KMB is a consumer care products company specializing in paper based products. Huggies, Depends, Cottonelle, and Kleenex are just a few of their popular brands. As a dividend stock investor I pay attention to who makes the products I use and have become loyal too due to their superiority over competing brands. As a new father I am very happy with the Huggies diapers, when I reach for a box of tissues at the store I always look for Kleenex brand, and no matter what the price I will ALWAYS buy Cottonelle Aloe & E toilet paper. Sorry if that last one was too much information, but Cottonelle is the reason I first looked at KMB stock. Seriously, there is not other TP brand that compares to it. Rating KMB gave me a good first impression on my new rating system. When I purchased the stock a year ago the fundamentals were much different than they are today and it would have scored much higher than it does now. I think this a good sign for my rating system though when using hindsight. My stock analysis was selected by SeekingAlpha and published this morning and can viewed by clicking the "read more" link below.